Can I run this game? This is a very common question that comes to the minds of gamers whenever a new game is released. This is because whenever a new game is released especially a AAA title then it generally comes with much higher system requirements compared to the older or presently running games. If you want to play that new game then your computer or PC should be powerful enough to run it smoothly at decent graphics settings, because otherwise you will be wasting your hard earned money on that game until you upgrade your system to its hardware requirements. Some of the gamers do get in a dilemma that whether their PC is powerful to enough to run that game even when they meet the game system requirements. This is because these game system requirements are specified in general terms and sometimes it is hard for a user to find out that whether their computer specifications are above or below that game requirements. Also, it can be very tough to assess that whether you will be able to run a new game smoothly when you don’t meet the minimum system requirements specified for that game. So, here in this post I am going to tell you on how you can find out that whether your PC can run that game. This will help you to make an informed decision when you want to buy that game. But let us first discuss about the types of game system requirements in detail. There are two types of system requirements that game developers lists for their games. These are minimum system requirements and recommended system requirements. These are the minimum specifications that your computer should have in order to run that particular game at low or medium settings at respectable resolution and frame rates. Most of the time minimum requirements are enough to play that game at decent settings but sometimes these minimum system requirements can be much lower or higher depending on the game. This means that even if you don’t fulfill the minimum system requirements, then also you will not be able to play that game smoothly on low or medium settings. On the other hand, it can also be possible that the game will run very smoothly on high graphics settings at 1080p resolution with 50 – 60 frame rates or FPS even with the minimum specified specs for that game. Recommended system requirements allow you to play that specified game at High or Ultra graphics settings with Anti-aliasing (AA) turned ON at 1080p or higher resolution with 60+ FPS. Game developers generally advise gamers to have the recommended game requirements to have the best gaming experience without any lag or stuttering. 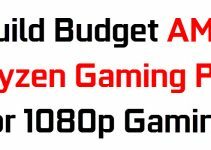 If your system possesses higher specifications than recommended specs for that game then you can play that game on maximum settings at 1440p or 4K at comfortable frame rates. How to Find out if your PC can run this game? Here are the various ways by which you can find out that whether you can run this game or not. It can help you to make an informed decision that whether you should buy that game or need a hardware upgrade to enjoy latest AAA games on your computer. The easiest way to know that whether you can run this game or not is by using the game system requirements tools. These system requirement tools are available online for free. They work by detecting or analyzing your computer hardware configuration and then compare it with the minimum system requirements for the games specified in their databases. Some of the popular Can I run It game system requirement tools are being mentioned below. 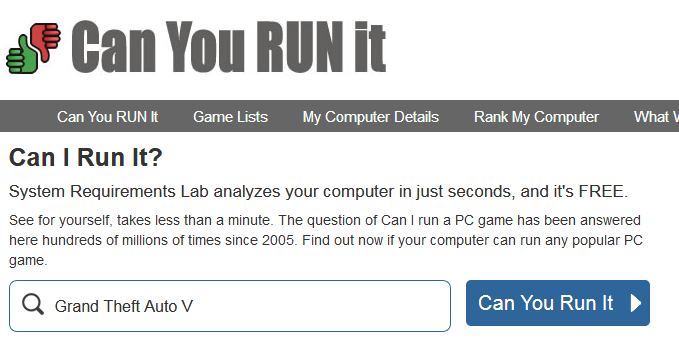 Can You Run It or CYRI from www.systemrequirementslab.com is the most popular and widely used game system requirements tool to tell that whether your PC or computer is capable of running that game. This online CYRI tool is free to use and you can use it with your PC or laptop. It analyzes your computer hardware configuration, compare it with the game system requirements in their database and then tell you the result. It also suggests that which component of your computer needs to be upgraded to match the minimum specifications for that game. It includes collection of over 6000+ latest games and is updated regularly whenever a new game released. This tool can also tell you about your computer specifications (My Computer Details), the list of games that you can run (What Will Run It) and make GPU comparison (GPU Compare). This CYRI tool works with Internet Explorer, Firefox and Chrome browsers on Windows XP, 2000, 2003, Vista, 7, 8, 8.1 and 10 and does not require Java. It is clean and completely safe to use, and free from any adware or malware. Some of the most popular games tested by CYRI include GTA 5, PUBG, Fortnite Battle Royale, Call of Duty WW2, Overwatch, DOTA, Battlefield 1, FIFA 18, Minecraft, Assassins Creed Origins, The Sims 4, Rainbow Six Siege, Fallout 4, Witcher 3 Wild Hunt GOTY, Destiny 2, Need for Speed Payback, Star Wars Battlefront 2, Cuphead, DOTA 2, Rocket League, PES 2018, Middle-earth Shadow of War, Paladins and DOOM. How to use CYRI tool to check system requirements? Here I am going to tell you on how to use CYRI game system requirements tool to check whether your computer or PC can run it or not. 2. Now in the search text box, select the game that you want to know about. After that click on Can You Run It button. 3. Now a page will open listing the minimum and recommended system requirements for that game. Here you again have to click Can You run It button after reading the game requirements. 4. Now Download the Detection App as specified in the next page. Save the Detection App on your computer drive. Do not close the CYRI browser window and keep it alive. 5. Run the Detection App and wait for the results to show up in your CYRI browser window. 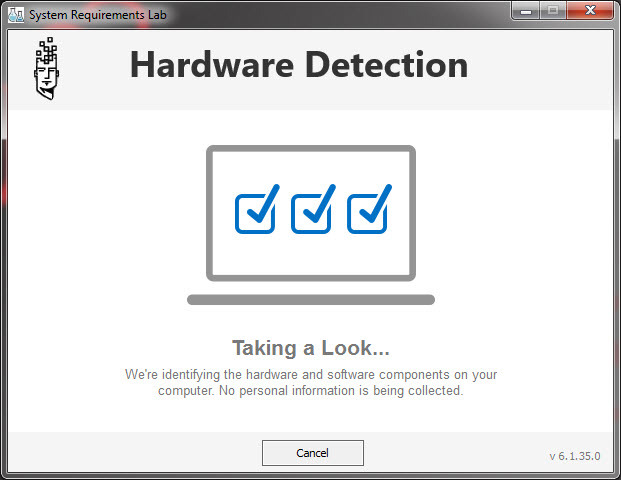 The hardware detection app will analyze your computer hardware and compare it with the game’s minimum and recommended system requirements. 6. 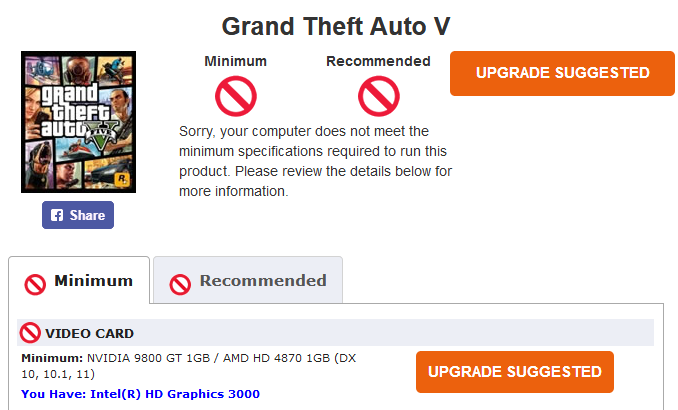 If your computer matches the minimum and recommended system requirements then it will be shown with green checkmark. And if your computer fails to meet the game requirements then an error code with red circle is shown. The CYRI tool will then also tell you the components that have failed the test and needs to be upgraded in order to pass that game requirements test. 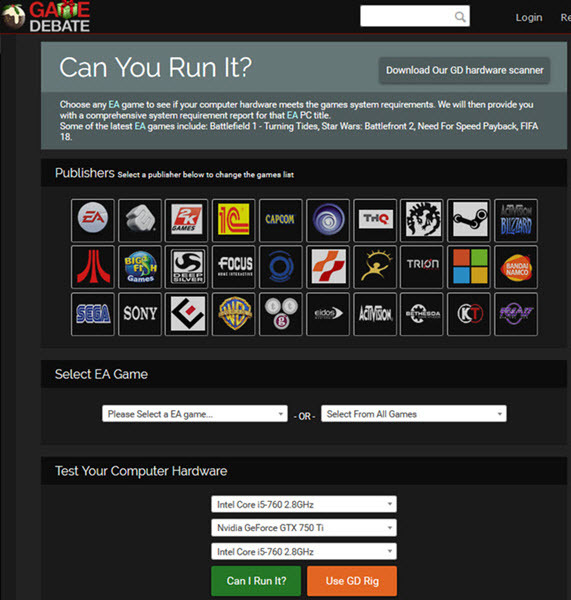 This is a game system requirements checking tool from www.game-debate.com for EA games only. Though it is not very popular but still can be very handy for users with EA games. 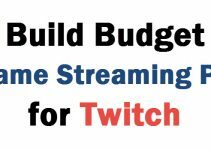 This Can You Run It tool is very simple to use. Select the EA game that you want to test and then select your processor, graphics card and amount of RAM in your rig. After that click on the Can I Run It button and you will be taken to next page, where it will tell you that whether you can run this game or not and on what settings. You can also download its automated tool i.e. GD Hardware Scanner to scan your PC specifications and check the game requirements from the tool only. The tool is free to download, use and is free from any malicious code. How Accurate are these Can I run it or Can you run it tools? These game checking system requirements tools are pretty straight forward in evaluating and checking games requirements. They just match your system specs with the game minimum and recommended system requirements. It is very much possible that you will be able to play that game comfortably at decent graphics settings even if your system has failed in their tests. So, you should not rely completely on these game checking system requirements tools and follow the next methods given in this post. If you are technically sound with computer hardware then you can manually check out the game system requirements by comparing your computer specifications with the minimum and recommended system specifications of that game. The main components that you have to compare are processor, graphics card and the amount of memory or RAM in your computer. If you don’t know which components are installed in your computer or PC then you can use the hardware info tools to know about them. 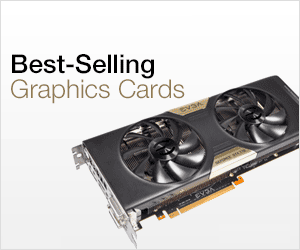 For comparing GPUs, you can take the help of GPU comparison websites. You can also google queries with “game on graphics card” to check that whether somebody has success running that game with the specs similar to yours e.g. “fallout on gts 450” or “GTA 5 on GT 1030”. You can also ask your queries on graphics cards or game forums, hardware blogs by listing your computer specs. On forums you can either create a new thread or can ask your question in an already created similar thread. On blog having related post to that game, you can leave a comment asking that whether you will be able to run this game or not. Youtube is one of the best ways to check that whether you will be able play that game or not. You can search on youtube with the name of the game + your graphics card model e.g. “GTA + GTX 750 Ti” or “GTA 5 on GTX 750 Ti”. After that you may be able to see the benchmarks or gameplay videos of that game with a system configuration similar to yours. This will give you a very good idea about it because you can see in the video, the kind of performance you can get and on what settings it is playable with what frame rates. If you are still unsure about running that game with your computer specs then you can ask me your query by leaving a comment below clearly listing your computer specifications that include your processor model, graphics card model, amount of memory and the operating system you are using. I will be happy to answer all your game system requirements query. 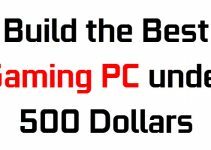 You can also ask me about the hardware components that you need to upgrade in order to play latest games smoothly on decent graphics settings. The sad thing is that you need to upgrade your computer if all the above methods tells you that you cannot run that game smoothly even on the lowest graphics settings at 720p resolution. The main components that require upgradation includes CPU, Motherboard, RAM and most importantly Graphics Card. Most of the times it is the graphics card that needs to be upgraded if you have a decent CPU and good amount of RAM installed in your PC. But if CPU requires an upgrade then you may have to upgrade your motherboard and RAM too if the older ones are not compatible with your new CPU. Below are some good resources on upgrading your CPU and Graphics Card. At the end, I would only like to say that there are many ways to check that whether you can run that game or not. You should not depend solely on the game checking system requirements tools because many times it is possible that you would be able to play that game perfectly fine at decent graphics settings even if you are falling behind the minimum specifications listed by the game developer. So, my advice is to try all the options listed in this post and then take any decision. If your PC is unable to run that game smoothly even on the lowest settings then you have to upgrade your PC hardware. For any queries or suggestions please leave a comment below.